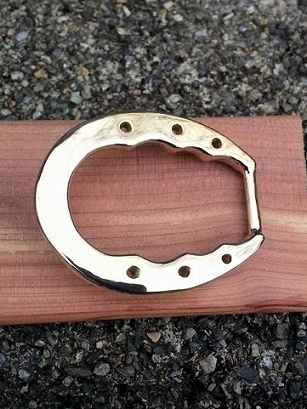 This is our new Horseshoe Buckle made out of solid brass. Sturdy and heavy for daily wear to the show or the barn this piece makes a great gift for anyone. Also available in white bronze. PICTURED AND PRICED HERE IN SOLID BRASS!